Ah, those delicious, fragrant pieces of goodness that turn every other food that incorporates them into Heavenly treats! Heat it and it melts into a gooey extravagance that amalgamates with anything that it is spread on or served with. I’m talking about cheese in all its glory. Whether you eat cheese on its own, team it up with crackers, sprinkle it on pastas, or spread it between slices of bread, it is always a delight. Our favorite American club sandwiches, paninis, pizzas, and Greek delicacies such as spanakopitas, and bougatsas wouldn’t be the same without the inclusion of the indispensable cheese. The fact that different kinds of cheeses are made in different regions all over the world could be is the reasons why there are so many variants of it. There are various cheese-making techniques, which have evolved with changing technology and consumer demand. There are also differences in the characteristics of different cheeses such as taste, color, aroma, flavor, texture, softness, mould content, gas holes as well as their shelf life. If you love eating cheese and can’t resist adding it to your food, here are a few types of cheeses that you ought to know about. The origins of Mozzarella lie in Italy. Earlier, it was made using the milk of water buffalos reared in Italy and Bulgaria. Most of the Mozzarella cheeses available today, however, are made from cow’s milk. The semi-soft Mozzarella is supposed to be consumed fresh, within a few hours of being made from pasteurized or unpasteurized cow or water buffalo milk. It isn’t difficult to make mozzarella at home. It is quite versatile and can be used in making salads, pizzas, meat and vegetable recipes. Cheddar cheese is hard/firm cheese made from pasteurized cow’s milk. In the olden days, it was produced only in England; although it is manufactured and consumed all over the world today. It has a crumbly texture when it is young, but is still largely smooth. As it ages, its texture gets sharper. It is typically available in the shape of a drum and its color ranges from white to pale yellow. Some Cheddar cheese batches may have orange color added to them, which may alter its color to yellowish-orange. 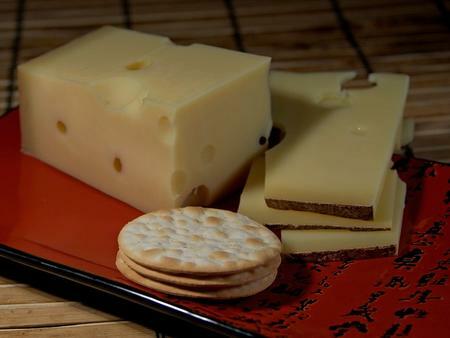 Emmental is produced in the central districts of Switzerland from unpasteurized cow’s milk. It is hard in texture and its thin rind is typically wrapped in paper, which has the manufacturer’s name mentioned on it. 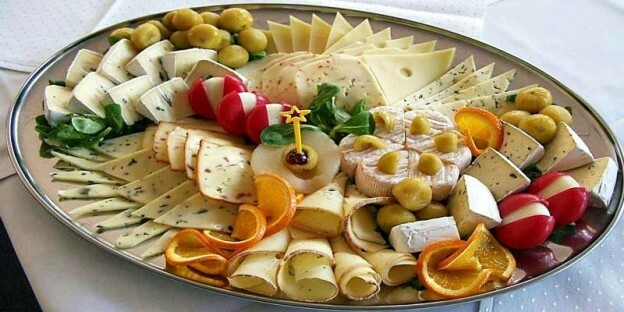 Emmental is usually paired and served with wine and fruits, thanks to its sweet aroma and fruity flavor. It also has a tinge of acidity to it. Compared to its other counterparts, there are bigger gas holes in this cheese. The formation of such holes during the fermentation process makes it one of the most difficult cheeses to be produced. Pronounced as ‘How-da’, this Dutch cheese is one of the most popular cheeses in the world. It has been named after the city of Gouda in the Netherlands. It is a rich, flavorful and semi-hard cheese which is made from cow’s milk, but some artisan variants use sheep’s or goat’s milk to manufacture cheeses that are going to be aged for a long time. The different varieties of Gouda are classified on the basis of their age. Graskass is young, while Overjarig is extra-aged and full-flavored. Between the two are Jong, Jong belegen, Belegen, Extra belegen, and Oud. Boerenkaas is a made from unpasteurized milk of cow’s grazing on the pastures of Netherlands. Young Goudas go well with beer, medium ones complement fruity wines, and mature Goudas are best paired with deeply flavored wines like Merlot and Shiraz. Gouda may be served sliced, cubed or melted, and can be used as table cheese or dessert cheese. This Italian cheese often gets confused with ‘Parmesan’ cheese. However, genuine Parmigiano – Reggiano is a protected cheese which can only be produced in Emilia-Romagna and Lombardia in Italy. It is a hard, dry, flakey cheese, aged for a minimum of 12 months and a maximum of 36. The great thing about it is its caramel-nutty flavor, and the crunch it offers with every bite. It tastes best when served grated over Italian salads, pastas and soups. Feta is made from pasteurized or unpasteurized milk of goats and sheep which have grazed on pastures in the above-mentioned Grecian regions. The texture and the firmness of this cheese vary from region to region. It can also vary by age. Feta has a tangy, salty flavor to it which can be reduced by washing it under water. It can be used in various Greek dishes such as Greek salad and spanakopita, both of which are available at our bakery in Raleigh. It can also be used in pizzas and pies. 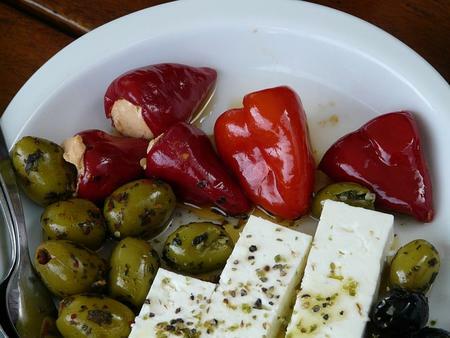 It tastes wonderful when served with olive oil, roasted peppers and nuts. It can be paired with beer as well as certain wines. Brie is the most famous French cheese. It is known to be the ‘queen of cheeses’ and was served as one of the tributes to the French kings. It is soft in texture and derives its name from the French region Brie, where its origins lie. It is made from unpasteurized cow’s milk and is pale in color, with a trace of grey under the rind. It can taste different depending on the ingredients added during its production process. It is a dessert cheese and tastes best when served at room temperature. Parmesan cheese is one of the most commonly eaten cheeses over the world. It has a hard, crumbly texture and a fruity, nutty flavor. Its creation was inspired by the Parmigiano-Reggiano cheese from Parma, Italy. It is made from unpasteurized cow’s milk and is pale yellow in color. While it can be eaten on its own, it is also widely used in a grated form over soups, risottos, pizzas, pastas and other snacks. This is an Italian cheese made from pasteurized cow’s milk. Used in sweet as well as savory dishes, it is made by curdling milk cream with citric acid. This procedure leaves behind a rich buttery creamy cheese which forms the basis of Italian delicacies such as Tiramisu and several cheesecakes. 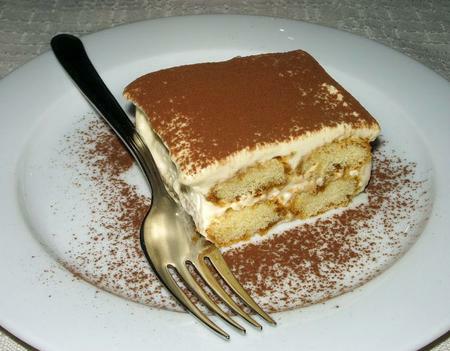 Mascarpone is also used to enhance the taste of the dish without disturbing the original flavor. It is also used to thicken puddings and creamy desserts, and can be served as it is with fruits. This semi-soft cheese made from cow’s milk is named after a Swiss village. Its hard texture is pitted with holes and has a brownish rind. When eaten, you’ll experience a fruity flavor initially, only for an earthy and nutty taste to takeover later. It is slightly grainy as well as dense. Gruyere is often used in salads, pastas, soups and served with breads. It pairs well with beer as well as white wines. Mentioned above are just a few of the many different cheeses in the world. Do try them out and experiment with the other ones, and let me know what you thought about them in your comments.